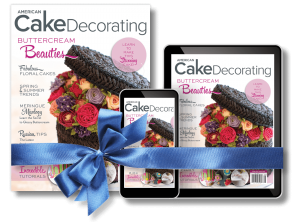 American Cake Decorating and Lisa Mansour are honored to present the inaugural Golden Tier Awards. It’s easy to enter, simply complete the nomination form with your selected nominees and click submit! Nominations open on March 1, 2017, and close on March 30, 2017. For information on how to enter, read our submission guidelines below! 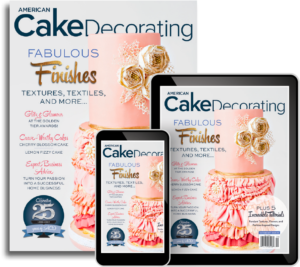 Welcome to the First Annual Golden Tier Awards presented by American Cake Decorating magazine and Lisa Mansour of NY Cake. The Golden Tier Awards is the first American-hosted, international awards show of its kind. This exclusive event brings together pastry chefs, cake and sugar-artists, dessert professionals, authors and writers, chocolatiers, instructors, and retailers to celebrate the very best our industry has to offer. In order to successfully complete the award nomination form, please review our award guidance below. Self-nomination is permitted, and downloadable “Nominate Me” badges and posters are available for social media sharing. We encourage you to nominate thoughtfully and carefully. The award form requires you to enter the full name of the nominee, their website or social media weblinks, and a short description of why you think they deserve this award. Please make-sure to enter your full name and e-mail address at the bottom of the web form before clicking submit. Please only complete the nomination form once! Only materials submitted according to the specified criteria will be judged by esteemed judging panel.